Gretchen Mol at the 2007 Vanity Fair Oscar Party. Gretchen Mol at the 2007 Sundance Film Festival. 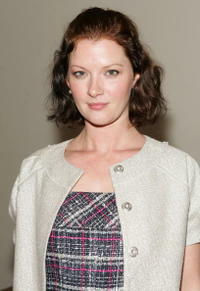 Gretchen Mol hosts a presentation of Sari Gueron's Spring 2007 Collection in New York City. 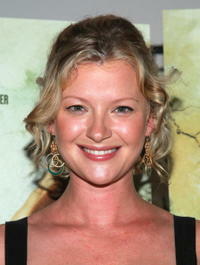 Gretchen Mol at the "Running With Scissors" premiere. Gretchen Mol at the Conde Nast Traveler Hot List Party. Gretchen Mol at the 2006 Vanity Fair Oscar party. Gretchen Mol at the "Puccini For Beginners" Sundance portrait session. Gretchen Mol at the Sundance Film Festival. Gretchen Mol at the National Board of Review of Motion Pictures Awards ceremony. Gretchen Mol at the TIFF portrait session for "The Notorious Bettie Page." Gretchen Mol at the 2005 CFDA Awards. Gretchen Mol at the National Board Of Review Annual Gala. Gretchen Mol at the Fashion Group International's 21st Annual Night Of Stars. 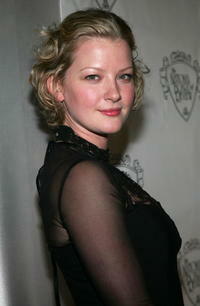 Gretchen Mol at the "A Dirty Shame" premiere. Gretchen Mol at the Fifth Season premiere of "The Sopranos." Gretchen Mol at the "American Splendor" premiere. Gretchen Mol at the 2003 Sundance Film Festival. Gretchen Mol at the Tribeca Film Festival. Gretchen Mol in "The Ten." 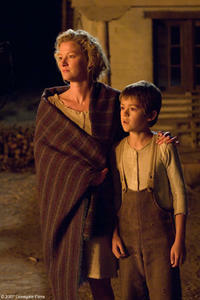 Alice Evans (Gretchen Mol) and Mark Evans (Ben Petry) in "3:10 to Yuma." Dan Evans (Christian Bale) and Alice Evans (Gretchen Mol) in "3:10 to Yuma." "The Ten" star Gretchen Mol at the N.Y. premiere.